The Directors invite the public to attend Board meetings and Board Committee meetings. Board meetings are held on the first and third Tuesday of each month at 3:00 p.m. in the District Administration Building. Board Committee meetings are held at various times. A tentative listing of dates and times are available here. The Board of Directors makes all policy determinations through the enactment of ordinances and resolutions, and has final authority in the implementation of these policies. The Board determines how the District will obtain and spend funds, and reviews and approves the District’s Operating and Capital Budget. The Board also appoints the General Manager and Legal Counsel, as well as the members of the District’s five standing committees. As a part of its policy foundation, the Board and staff collaborated to establish the following Ten-Year Vision for the District. Safety is paramount. We will maintain a safety program, safety culture, safe work habits and safe work record to reflect our practice of proactive risk identification and mitigation, and commitment to safely completing our work. Our staff remains our key asset. Despite anticipated attrition, we will practice deliberate knowledge transfer, keep the selection of extraordinary team players as our norm, foster an environment to promote professional development, and offer an appropriate compensation package. Shaping and responding to new regulation gives us a competitive advantage. We will perform sound planning, engage with the regulatory community, and innovate as we select on optimal response to significant emerging regulations. Not all new technologies are worth our investment. We will scrutinize available technologies and implement only those that increase our standard for operational resiliency while meeting our high standards for investment of public funds. Measured risk taking is a part of sound management. We will continue to take prudent business risks that improve the District’s ability to respond to future challenges while maintaining our fiscal strength. The public expects us to manage with the long term in mind. We will maintain a comprehensive understanding of our service and infrastructure needs and provide proper funding to manage their ongoing renewal. Proactive communication is essential to providing the best service. We will identify issues of public concern and communicate our approach to addressing these issues well in advance of any requirement for significant immediate action. Excellence over average performance. We will set the standard for operational resiliency, regulatory compliance, and cost efficient operations among sanitary agencies in the State. The Administration Department provides administrative support to the Board of Directors, Board Committees and all departments, and undertakes overall general management of the District. Core functions include: accounting, budgeting, investing, human resources, labor relations, information technology, workers’ compensation, public information, performance management, risk management, safety and training, general administration, and representation at various regulatory agencies. The Administration Department also oversees and administers a long-term agreement with Waste Management of Alameda County, for providing solid waste and recycling services to District customers. Six authorized positions for FY 2018-19. Zero lost time accidents in all years and injuries (3 out of 10 years). Maintain lowest residential sewer service charge in Alameda County and among the lowest 5% in the State. Timely, accurate, transparent, and useful financial reports. Develop and maintain cross training for key admin/finance functions. Provide live, knowledgeable customer service point of contact for all incoming calls. Identify and communicate required funding needs for operations and projected infrastructure needs. Update Strategic Plan every two years with the Budget document. Prepare Board agenda packets, and deliver and post on the Friday before the Board meeting. Process payroll and accounts payable, and complete monthly financial statements on time, 100% of the time, and error free at least 99.5 % of the time. Publish three to four issues of the “Oro Loma News” newsletter each year. Publish the award-winning Comprehensive Annual Financial Report by December 31 each year. Coordinate and successfully complete the annual Earth Day Poster Contest for schools (K-12) located in the District’s jurisdiction. Manage department expenses within budget. Further reduction of stoppages – 15 stoppages in 2000 to 3 stoppages in 2015. 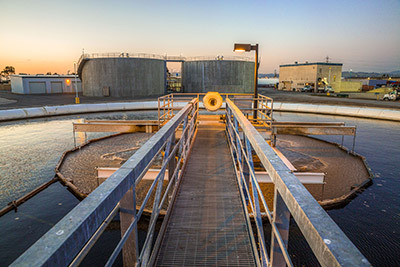 Prestigious awards from California Water Environment Association (CWEA) – “Collections System of the Year – San Francisco Bay Section” in the 250-500 miles category (1997, 1998, 1999, 2000, 2004, 2010 and 2013), and “Collections Supervisor of the Year” (2005). In 2000, 2004, 2010 and 2013 the Department also received the CWEA State-wide “Collections System of the Year” award. The Engineering Department oversees the design, bidding and construction of projects in the District’s Renewal and Replacement (R&R) and Capital Improvement Program (CIP). The department also manages capital facilities planning and budgeting; performs annual updates of the database for revenues collected for District services; inspects the installation of all collection system improvements of private developments and construction projects; collects and interprets data through flow-monitoring devices; reviews plans submitted by public agencies and private companies; issues permits to contractors and/or developers for construction, repairs, or encroachments; processes annexations to the District; and, maintains records of engineering drawings and the District’s mapping system. Maintain Ten-Year Capital Planning Document for all District assets. Build GIS into central reference source for all District assets and customer service issues. Implement Asset Management Program for all District assets by 2023. Replace a minimum of 20 miles of collection system pipe by 2023. Ensure that the department’s expenses are managed within the adopted budget. Execute planned work in a timely manner (Minimum of 85% of funds budgeted to be spent in given budget year). Minimize construction change order costs (for projects closing out during the current fiscal year) to no greater than 5% of the original contract amount. Prepare and maintain quality as-built drawings, maps and engineering records. Deliver courteous and timely response to customer calls and “over the counter” services. Ten authorized positions for FY 2018-19. Thirteen authorized positions for FY 2018-19.